I have a few drawings I am working on currently including the Unicorn one, but I also just did a quick one at work the other day for a friend. I have been keeping myself busy and will be starting my own Etsy soon. I did this one on one of those paper/cardboard backs of a paper pad and just used a regular pen. 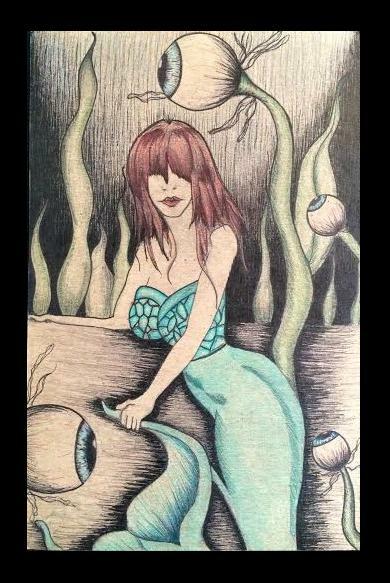 I then used some prismacolor pencils for color to make the mermaid stand out. I really love using complementary schemes in my work.